Mark Van Putten has 30 years of experience in natural resources conservation and nonprofit management at the international, national, regional and local level. He spent over 20 years on the staff of the National Wildlife Federation (NWF), the largest membership-based conservation organization in the United States, including nearly 8 years as President and CEO. He also founded Great Lakes regional office - NWF's largest - and as the University of Michigan's Environmental Law Clinic. Mark is recognized as a visionary leader with proven strategic thinking and planning skills and has a concrete record of turning long-term goals into ongoing organizational reality. Mark has gained national respect as a leader in advocating common-sense conservation solutions. Jerome Ringo is a national expert on bringing diverse groups of people together to solve shared environmental problems. A noted activist in his hometown of Lake Charles, Louisiana, Jerome has led efforts to reduce toxic pollution and to educate youth, especially African-Americans about environmental issues. Jerome has become a national leader on environmental issues as they disproportionately affect the poor and people of color. 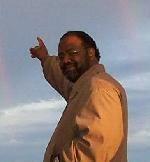 Jerome has helped numerous international, national and state organizations on diversity outreach. He is past President of the Apollo Alliance and as Past Chair of the Board of Directors of National Wildife Federation, America's largest environmental education and advocacy organization. 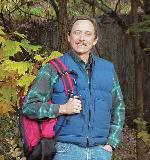 Dave Dempsey has 22 years’ experience in environmental policy and has published two well-received books on the environmental history of Michigan and the Great Lakes ecosystem. He has served as Program Director and Great Lakes Policy Consultant for Clean Water Action, and as Executive Director and policy consultant at the Michigan Environmental Council - a coalition of over 65 environmental organizations with a combined membership of more than 200,000. He also has extensive governmental experience, serving as environmental advisor to Michigan Governor James J. Blanchard from 1983-89, as a presidential appointee to the Great Lakes Fishery Commission from 1994-2001, and, since 2003, on the Michigan Natural Resources Trust Fund Board.